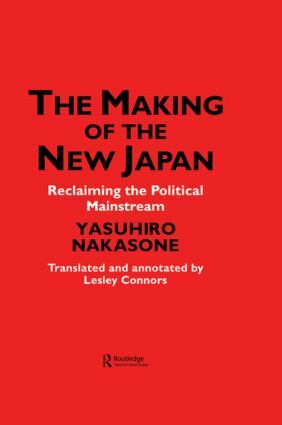 Yasuhiro Nakasone's rise to political prominence began under the watchful eye of the American occupation with which he had a direct and confrontational relationship, arguing for the ending of the occupation and the restoration of sovereignty to Japan. Nakasone argued for Japan's need to become a 'normal' nation which in his view involved an enhanced international role for Japan and an enhanced role for the prime minister in domestic policy-making. Both ideas have come to win an increasingly broad acceptance, although Nakasone's slow rise to the position of prime minister bears testament to the controversy aroused by his views. These political memoirs chart the journey from his youth in the aftermath of the First World War to his appearance on the world stage at the side of President Reagan. They conclude with his thoughts, on the eve of the domestic upheavals which saw the fall of the LDP, on the prospects for a third 'opening' of Japan to rival the Meiji Restoration and the MacArthur reforms. Now an adviser to a younger generation of politicians, he is regarded by many as a modern-day Genro for Japan.